New Delhi, May 8 : The activities of Asha Society, an NGO established in 1988 to help Delhi's slum communities, received a shot in the arm at a function hosted by the Australian High Commissioner, Mr. Patrick Suckling, on Wednesday evening. The event, organised to felicitate Union Finance Minister P. Chidambaram for his long support to Asha's activities, saw several envoys of countries take part. New Zealand High Commissioner Grahame Morton and U. S. Ambassador Nancy Powell also spoke on the occasion. Former Union Minister Mani Shankar Aiyar was also present on the occasion. Welcoming Mr. Chidambaram, Mr. Suckling noted the excellent work that Asha has done over the years. 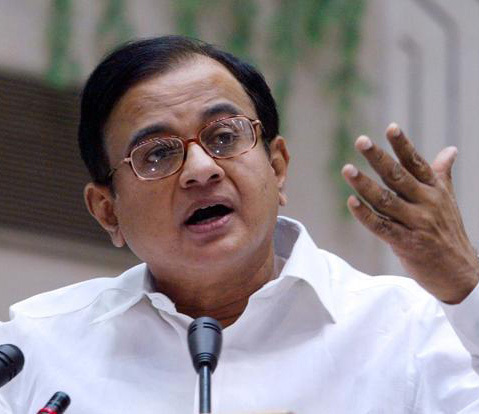 He complimented Mr. Chidambaram for his support to the society's work. Under its Direct Aid programme, the Australian High Commission has funded several Asha projects over the years, including providing internship opportunities at the mission for young Asha graduates. In September 2009, the then Australian Deputy Prime Minister, Julia Gillard, visited Asha and presented a cheque for INR 300,000 for providing secondary school books to children advancing from primary to secondary education. Mr. Chidambaram spoke in glowing terms about the good work the NGO has been doing in the past 25 years in empowering slum-dwellers in areas such as the environment, healthcare, education and financial inclusion. Present on the occasion were children from slum clusters who have benefited from Asha's education programs and are now graduates and post-graduates. Several of these children have found placements in private companies as well as in the government. Dr Kiran Martin, Asha's Founder and Director, spoke about the support to Asha by Mr. Chidambaram and about his interest in its social welfare activities. Earlier in the day, Dr. Martin and a group of students from Asha's communities, called on the Finance Minister.